Skinny water bass! 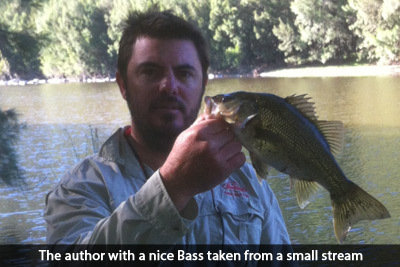 What can I say, one of the most exciting days can be had chasing big or even small bass in rivers, creeks and streams. One of the only fish we can catch & release under size all day long and not get over it. It’s not totally imperative to land monsters every trip to get an instant fish & fix. Especially when it comes to catching bass in this form. 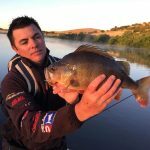 This little Aussie battler is flourishing in fresh water impoundments due to frequent stocking programs and fantastic catch and release practices. In saying that there still lies the original pathways to these man made dams and without them the impoundments wouldn’t flourish. Our creeks and rivers have been in place for thousands of years and are forever the back ground from which this Aussie predator originated. 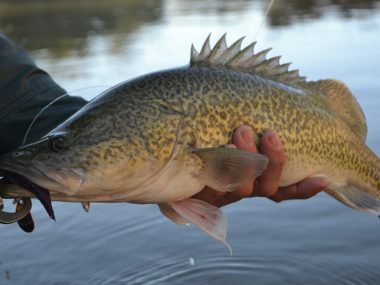 Australian Bass will use these running waters year after year to travel and breed. 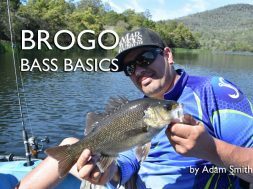 The bass as we know must reach brackish water in which the eggs will be dropped. 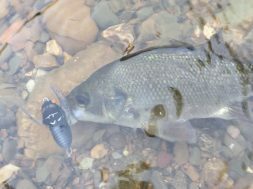 During this time they should be left alone to do their thing and we still have the opportunity to target these fish as they travel back up stream for the summer. Soft shell cicada lures are well known among bass anglers. They are a small life like cicada with soft plastic wings which enables the lure to skip the surface in real life imitations of a bug. 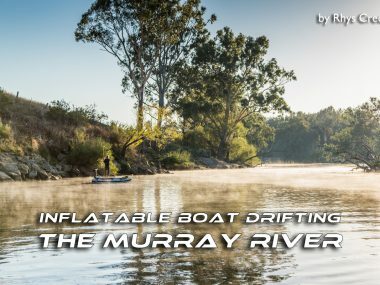 Doesn’t get much better then catching bass on surface lures, but another great attribute these fish have is the extreme variety of different lures and techniques that can be applied with results. 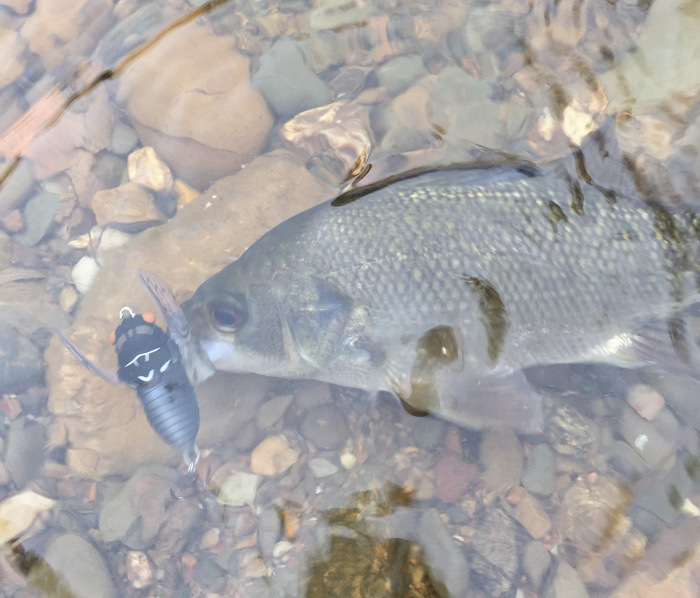 Another lure that can’t be overlooked when fishing in small streams is the humble spinnerbait. A small single willow bladed spinnerbait is my preferred choice. As they are light and easy to cast and the willow blade allows it to be fished successfully in fast water. The single willow blade will catch less water and get down to where the fish hide out. The best weight spinnerbait when fishing for bass in these streams is 3/8oz and 1/2oz for the deeper streams. The setup for Bass is simple; a light 2-4kg rod, a small 1000 size reel loaded with 3-6lb braided line and light leader of between 6-10lb. This light outfit will suit all situations for stream bass fishing and will still be able to handle the bigger species you will encounter. 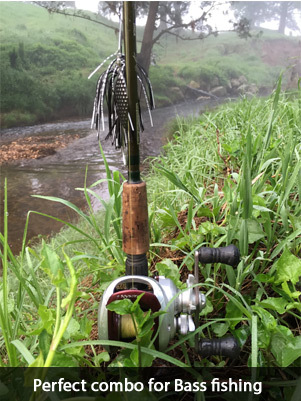 Wherever you find Bass in small streams and rivers you can almost be certain that beneath the water lies an underwater jungle of; weed, rocks, falling trees and timber. 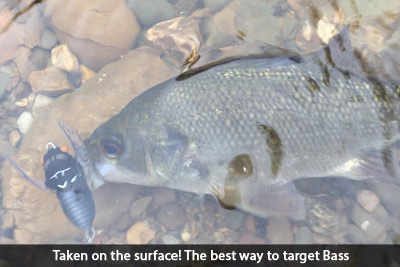 In most cases there will be more than one type of structure, so it’s very important to start a new hole with a cheap lure and discover what’s under the surface before throwing money straight into a hollowed out log or a crack in a rock, let your lure be your under water eyes before jumping in head first. 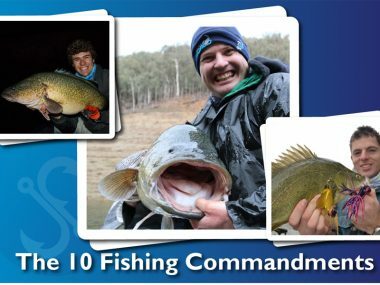 A very important reminder that you must remember when you chase these fish is to check your rules and regulations for targeting bass in your local area. There are closed seasons in place for these fish and must be respected. Next time you see a small fresh water stream be sure to do some research; Google Earth, Internet, websites, books and wherever else you can find information. You might just find these amazing creatures that have been under your nose the whole time. 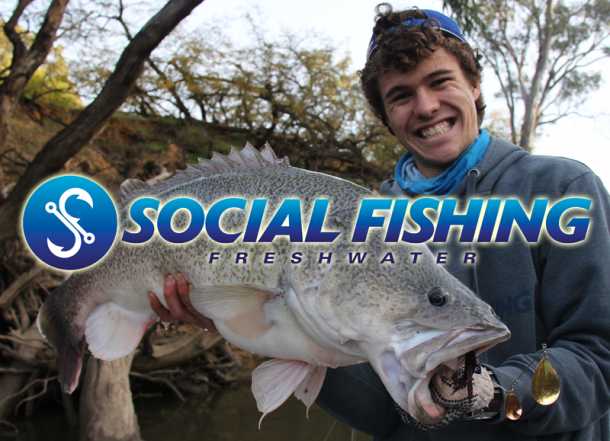 James Picker Freshwater fishing runs deep in James’ veins and lies strong in his heart, from estuarys to creeks, from fast flowing rivers to farm dams, if it's got a fish in it he wants to know about it. A light rod and light line dressed with a pretty lure is always his weapon of choice and he loves trying anything new and making it happen. As long as he is on the water he’s happy.